Zorbing Ball On Rent . Ideal and leading Zorbing Ball manufacturer in delhi in delhi. Birthday party Organizer provide the Zorbing ball at reasonable and economical budget. Organized the matchless zorbing ball party in delhi -ncr. Zorbing ball is made of transparent plastic and performed on a slope. 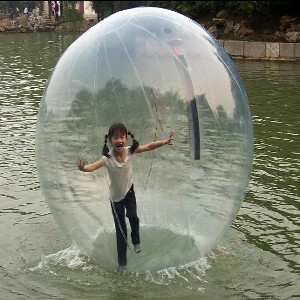 We can also play zorbing ball in water if we don’t have slope . 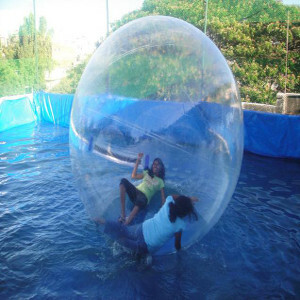 We have water walking ball, sloping ball, body zorbing ball, at very cheap rates. Provide co-ordinator for this game so that he can make the game funny and good for you. 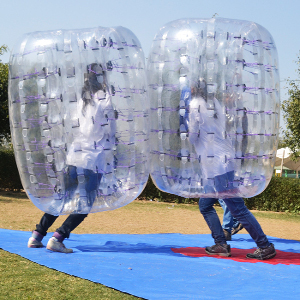 Hence Body Zorbing is game in which people get together to play football, soccer or other sports of their choice by wearing some giant bubble.. Wearing zorbing ball you can you can also wrestle or play with each other..Step into the Zorbing ride…Two at a time or get into the H2O ball with two person inside. Zorbing ball for rent. This is one of the great experience that you will always want to do in your life.You will be delighted with the experience of zorbing ball into water. Water ball or water zorbing is large sphere ball that allow a person inside it to walk on the water surface..Zorbing ball on rent. Zorbing is very exited game..i am sure you are gonna enjoy it Its all most two meter in sphere so that you can enter and exit properly.. So it has one layer and it make you float on the water..!! Similar games Zorbing Football On Rent , Angry bird game , and even more..